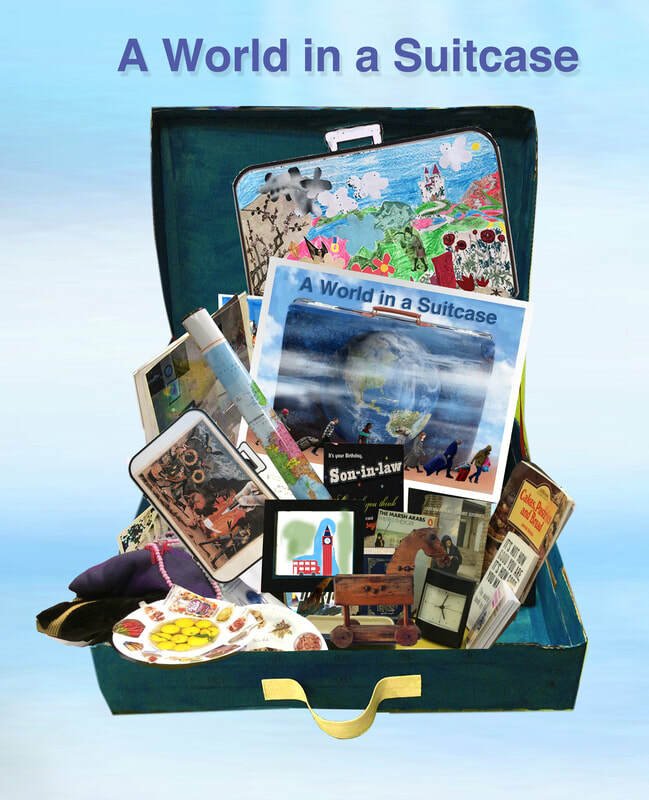 ​A World in a Suitcase - (AWIASC), an innovative mixed media visual storytelling project inspires people from diverse communities to take a fresh look at their 'Worlds' through sharing stories, art, photography, paper collage & film. The aim of this project is to foster closer relations, understanding, empathy and tolerance between communities. A Suitcase as a container represents a 'World' filled with emotions and stories about home, ​childhood, future dreams or other times and ​places in people’s life. 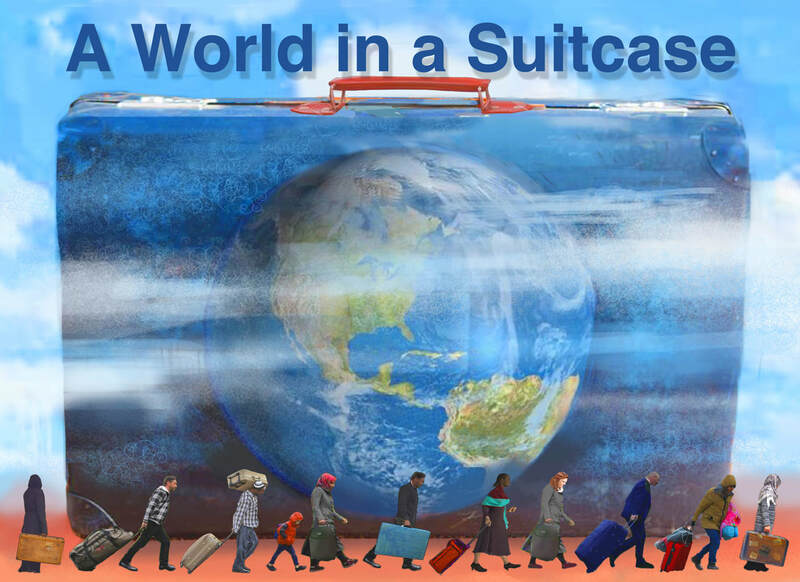 We can adapt A World in a Suitcase for training workshops including induction, team building and networking to help students, academics, commercial and voluntary organisations come up with fresh ideas that could be a catalyst for change. With all our projects we ensure that there is a tangible, meaningful outcome, that the participants can feel ownership and part of. Working individually on the chosen themes they then come together as a coherent team to serve the outcome for the betterment of the community, to design a banner or a calendar or an exhibition, a website or a film. This process enables a sense of meaning both individually and collectively for a group. ​WHO IS OUR PROJECT FOR? There are between 10 and twenty participants in each group whose ages range from 16 up to 90 years old. Each person goes through the same process of exploring their past and present identities. They bring in objects of personal meaning to add to their suitcase - their World, and/or they create a collage or montage that tells their stories in words and images. ​​The key for creating connections with other people and breaking down isolation within the community is by getting out of the house, making friends, being heard and retelling your story to help reconnect with what your life is all about. You are looking back to move forwards. It’s not about reminiscence; it’s about validating your life experiences and wisdom and looking at how life’s shaped who you are. Check out our Press Coverage page and see the brilliant SHAK banner, Calendar art from the Thamesbank Centre here, and from Glastonbury House wonderful images via the iPad to tell their stories. A Tweet from SHAK about Community, stories and a World in a Suitcase. 'A World In a Suitcase Project’ "A wonderful and creative session this morning with Myrna and Tim". SHAK - Annie Hooper, Community Engagement Manager. Bengali Outreach Worker and Founder of 'The English Speaking Clubs' in Westminster libraries. "Thank you to 'A World in a Suitcase' for the recent art project that ran for three weeks at our Conway House hostel.The World in a Suitcase (AWIASC) team helped participants to explore the various worlds that make up a community, enabling them to discover their talents, passion, skills and confidence to overcome the barriers they face to social and economic inclusion. Our Conway House residents enjoyed the sessions so much our *ETE Coordinator at Conway House is hoping to entice AWIASC back very soon," Sarah ETE Coordinator at Conway House.